No matter how many years pass after your graduation, you’ll always be a part of the Newberry College family. Check back here often to stay connected and catch up on news, events and opportunities for alumni. Newberry College is one big family, and it’s important to stay connected. 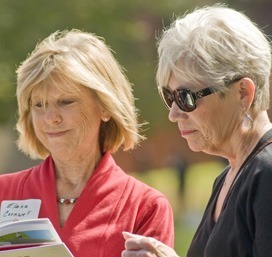 The Alumni Association exists to foster alumni identity, information sharing, interest, involvement, and investment in support of Newberry College. Please keep in touch! Display your diploma in your home or office. Wear your Newberry College alumni pin. Display a Newberry College decal on your car. Read Dimensions, the College website and special mail. Come back for Homecoming and other special events and bring others. Encourage classmates to stay in touch. Send notes about alumni stars so we can tell the good news. Volunteer to help us keep up with your class, area, or group. 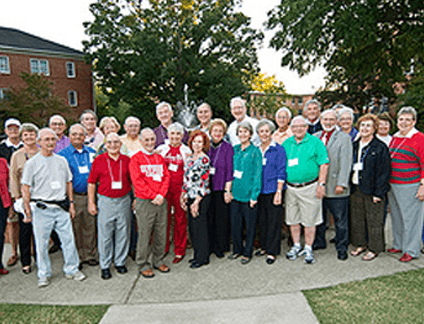 The Newberry College Alumni Association is proud to recognize alumni and friends for their service to the College, the church, and their communities. Awards are presented at the Alumni Association annual meeting. Nominations may be submitted to alumni.relations@newberry.edu. Presented to an alumnus/a over the age of forty (40) who best exemplifies commitment to and support of Newberry College. Additional consideration is given for service to church, community, state, and nation. This award is named for Thomas A. “Dude” Epting (1924), Professor of French at Newberry College for 42 years, 1926-1968. He was a regular participant in all college activities. After his retirement, he continued to serve and be a visible presence on the Newberry campus. 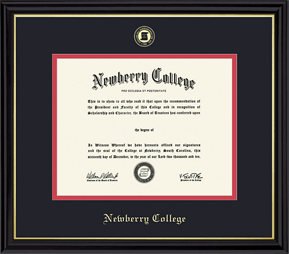 Presented to an alumnus/a aged of forty (40) or younger who best exemplifies commitment to and support of Newberry College. Additional consideration is given for service to church, community, state, and nation. This award is named for Phillip T. Kelly, Jr.(1933) who served on the staff at Newberry College from 1941 to 1975. He was Dean of Men and later served as Alumni Director. He had a willing spirit, jovial personality, and a high commitment to Newberry College. Three of his children attended Newberry College. Presented to a non-alumnus/a who best exemplifies commitment to and support of Newberry College. Additional consideration is given for service to church, community, state, and nation. This award is named for Noah and Pansy Derrick, who lived in Columbia, SC. They were active in the life of their local congregation, gave generously of their time, talents, and resources to Newberry College and were respected citizens in the community. The criteria for the Alumni Distinguished Service Award states that the award must be given to a Newberry alumnus who has made significant contributions to the ideals set forth in a liberal arts education. Distinctive service may have been rendered on national, state, and/or local levels. Nominees from each of the academic departments may be considered for the award. The recipient must exemplify creative and continuous personal growth and a willingness to embrace our changing world. This award also recognizes outstanding achievement and service to the recipient’s profession, community, society, and/or college. This award is to recognize courageous action or note worthy bravery by a person who is an alumnus/a of Newberry College. Potential recipients of the Award of Valor, when confronted with situations involving personal danger, acted with valor to avert or minimize potential disaster. Valor is described as “the strength of mind or spirit that enables a person to brave danger with boldness and firmness.” Members of the armed forces, police or fire departments may receive the award for duty-connected actions if their actions were “clearly above and beyond the call of duty.” The award is not presented automatically on an annual basis and will be presented based on the nominations from family, friends, or interested alumni. The award can be presented posthumously to the family of the recipient if their heroic action cost them their life. Recently married, had a baby, changed jobs, earned an award, or just want to report a new address? We'd like to know! 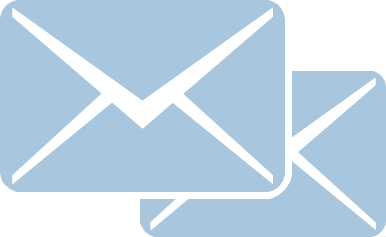 Help us keep our records current by completing our "Keep In Touch" form below. MARK YOUR CALENDAR FOR HOMECOMINE 2019! Mark Your Calendar for 2019! 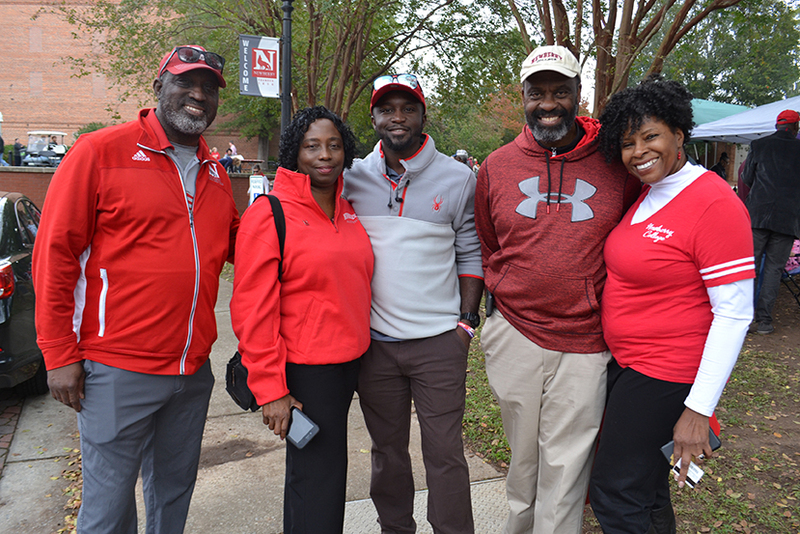 Join us for football, frienships and fun during Homecoming Weekend 2019. Check back in August 2019 for the complete schedule of events. 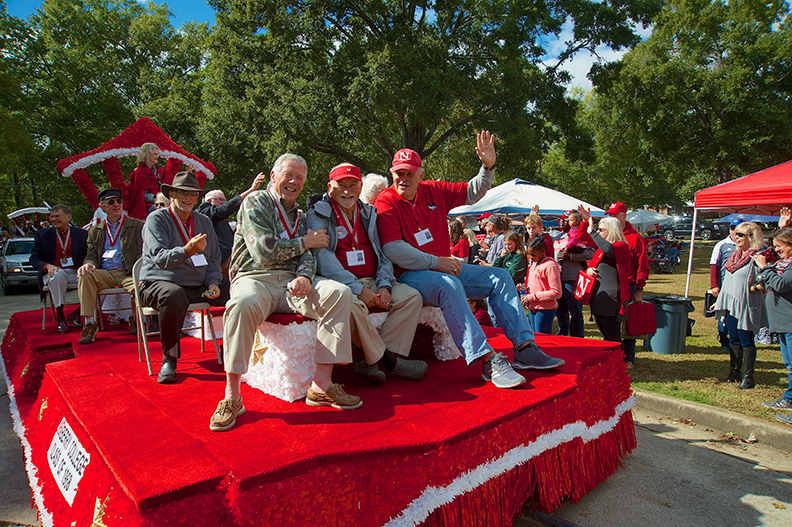 Newberry College reunion classes will celebrate in their own special ways. If you are a member of one of these reunion classes, information will be mailed directly to you during Spring 2019. For additional questions, please contact the Office of Alumni Relations at alumni.relations@newberry.edu or call 803.321.5676. *Reserved parking for our Golden Newberrians and anyone with mobility issues will be available in the parking lot behind Kaufmann Hall on Luther Street throughout Saturday. For shuttle service throughout the day, come to the Alumni Association tent near the Fountain Circle. 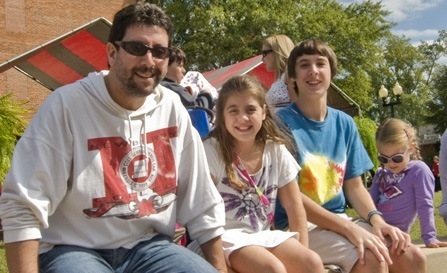 Catch up with your Newberry College friends, and don't forget to bring your family! 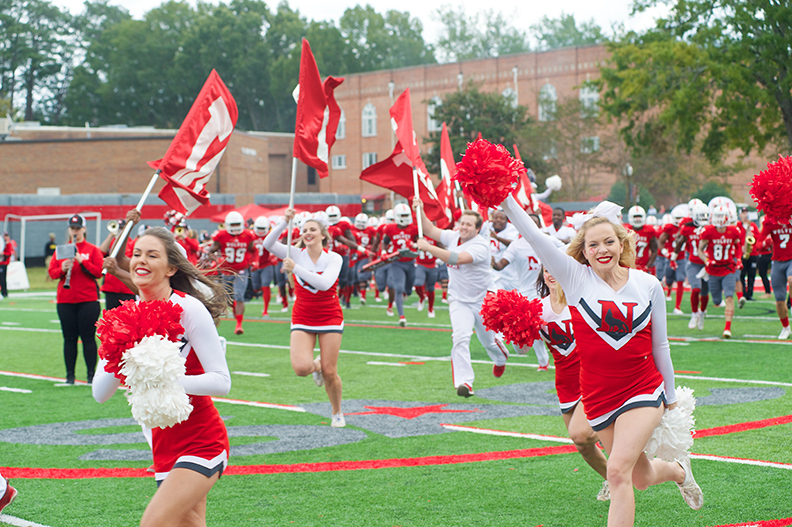 The 2018 Newberry College Alumni Directory can help you do just that! 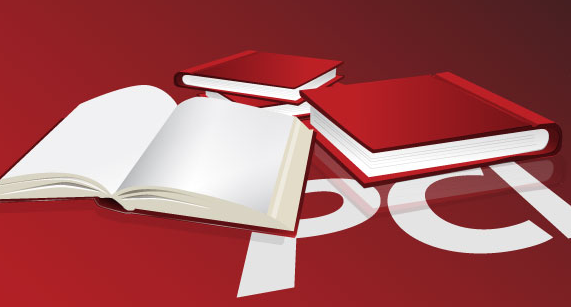 When you hear from PCI, our directory publishing partner, please update your information so you can stay connected. Click for Frequently Asked Questions about our Alumni Directory project. Be Social! Share Your News! Invite Your Classmates to Your Events. Like us on Facebook, check us out on Instagram, follow us on Twitter, keep up with us on YouTube, and join discussions on LinkedIn! Keep Up with the Trends! Enhance your skills and stay abreast of all the most current developments and certifications in your chosen career. Newberry’s continuing education program is also a great way to network with your peers! Learn the latest tools and innovations while preparing to take the next step in your career.  Newberry College offers a wide array of courses both online and on campus in every discipline. 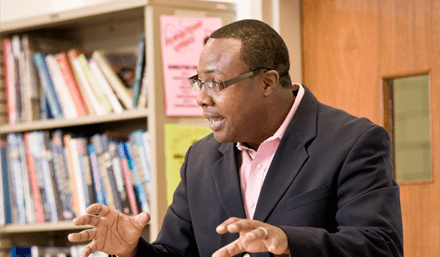 RETAIN seeks to increase teacher retention in South Carolina by providing quality professional development, mentoring, and support for teachers in their first three years. The center, located at Newberry College, is funded through a grant from the South Carolina Commission on Higher Education. RETAIN is passionate about supporting new teachers. We are making a difference in our partner schools and in schools all over South Carolina. Please see their website at retainscteachers.org for current events or check RETAIN's Facebook page at facebook.com/RetainSCTeachers. To request an official Transcript, please complete the following transcript online order system. The transcript fee is $5.00 each after the first copy has been issued. If the transcript is faxed, that is an additional $2.00. We accept Mastercard or VISA.